From the artist that brought us all joy with Mallow, MUPA TOY is once again delighting us with two new colourways of his Mochi resin figures. Available in a green Matcha and brown Chocolate colourways, these two new Mochi are cute AF. Initially these two new Mochi will see a limited number of 25 of each colourway released at Shanghai Toy Show this weekend, with the remaining 25 of each available online at a later date. We’ll bring you more details on the online release when we find out more. 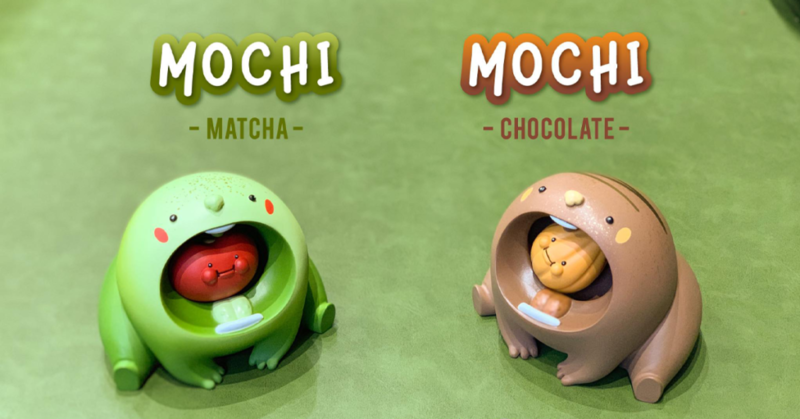 Those that are heading to STS, you will be able to find these new Mochi on booth B23!